The Garden Island’s airport (LIH) is located in the town of Lihue, Kauai. Welcoming travelers from long flights, as well as island hoppers. This is a newly updated, 2-runway airport. Getting around is easy. Finding your rental car counter is quick. After arriving on the ground floor of the terminal, follow the signs to baggage claim and the rental counters are just beyond. 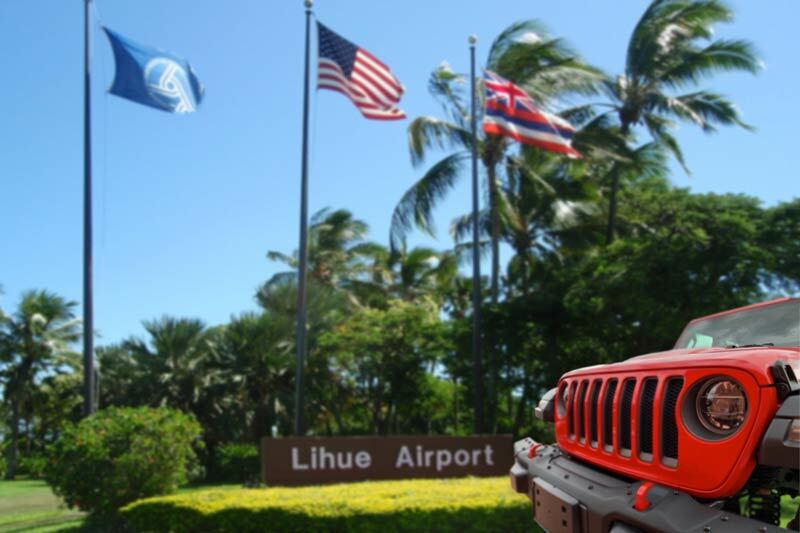 We also have rental Jeeps available at the Hyatt Poipu and Princeville airport. View all Jeep Wrangler rental locations. Once you’ve retrieved your luggage in Baggage Claim, you’ll find rental car booths out the door and across the street. For your convenience, Alamo, Budget, Avis, Dollar and Hertz are located in the airport. Enterprise, Thrifty and National are a brief shuttle ride (3-5 minutes) to their off-site locations. Alamo is just one of our partners that let's you pick your Jeep from all the choices available. Most of our partners try to keep 10+ Wranglers to choose from. Color and wheel style are the main differences between Jeep models. 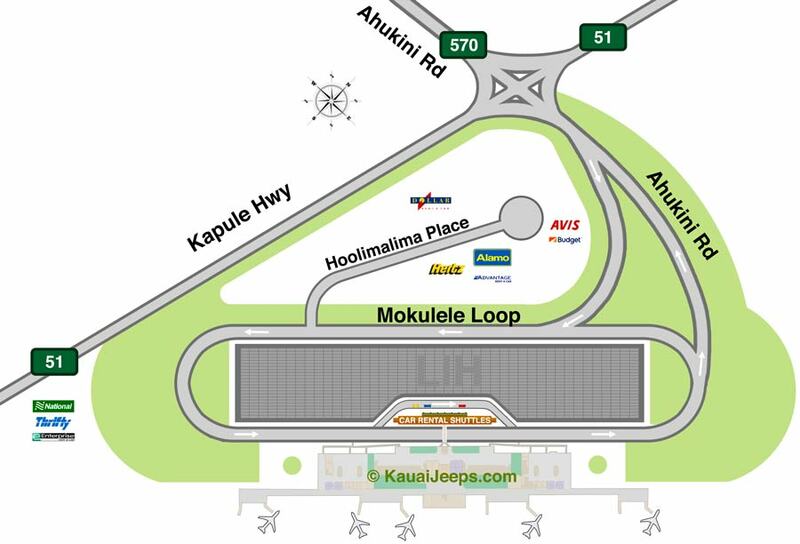 The rental lots at the Kauai airport in Lihue are located out of doors. Simply choose your 2 door or 4 door Jeep Unlimited and head for the exit gate.